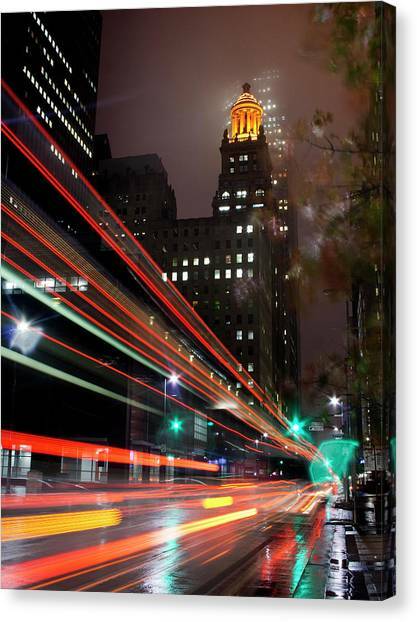 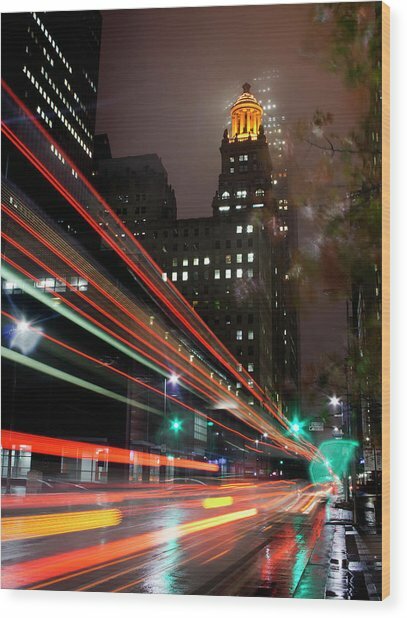 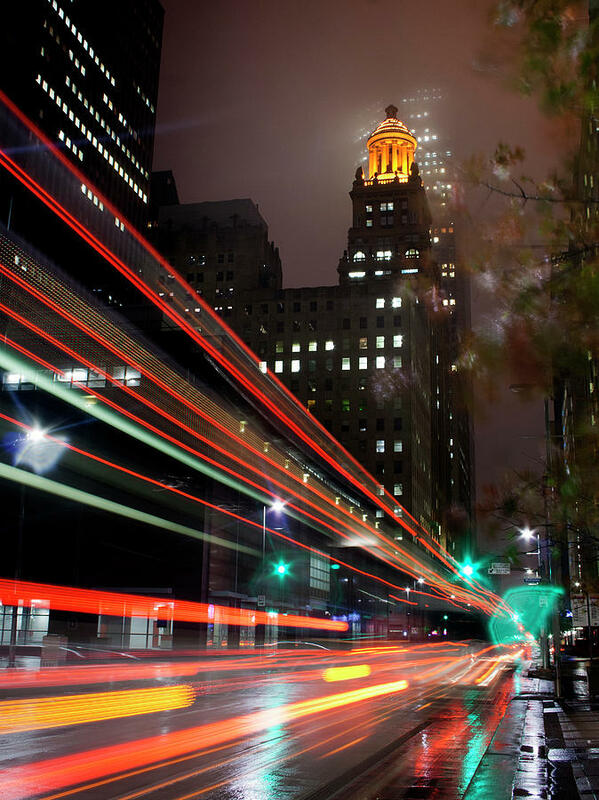 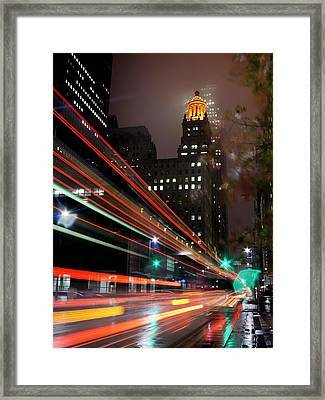 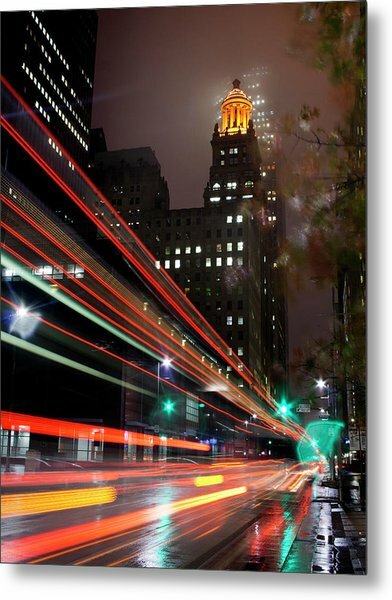 Colorful long exposure photo of downtown American city urban business center street with new and old tall buildings (skyscrapers) shrouded in winter rain and fog and light trails (light streaks) made by moving traffic and bus on street. There are no comments for Foggy Night, City Lights. Click here to post the first comment.